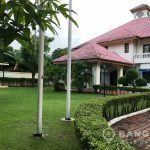 A large, detached Phatthanakan house with 6 bedrooms is now available for sale located just off Pattanakarn road. 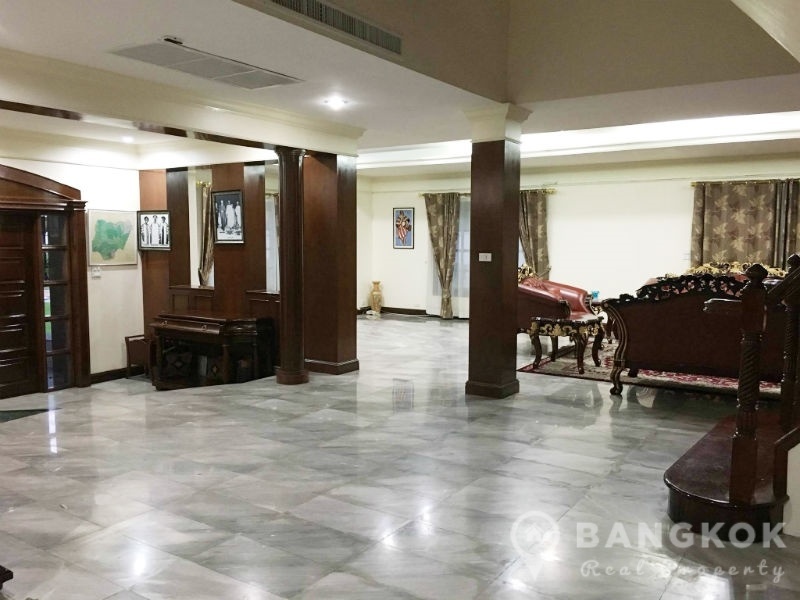 This spacious house is situated in a secure compound and is within easy reach of Hua Mark ART (Airport Link) station. 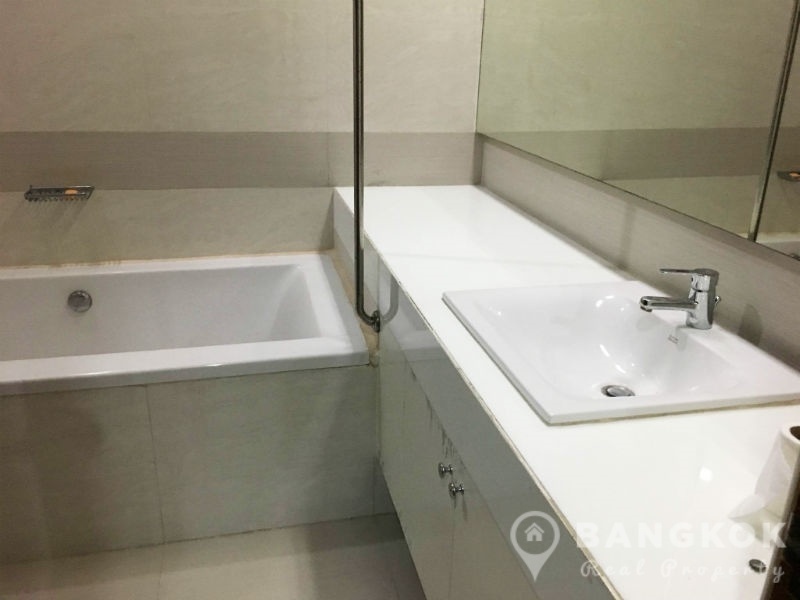 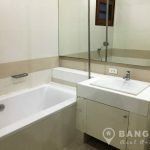 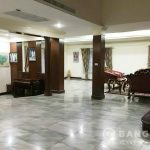 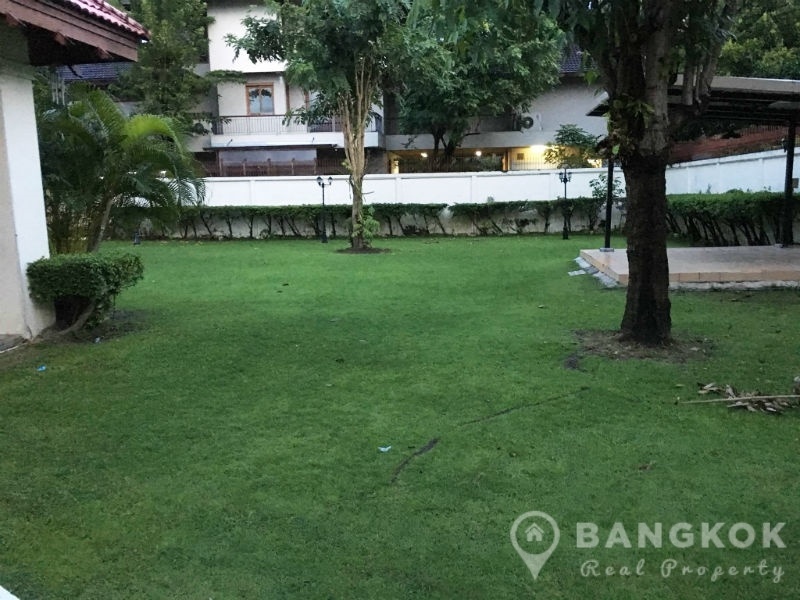 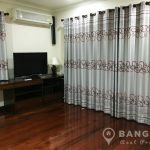 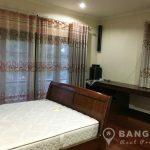 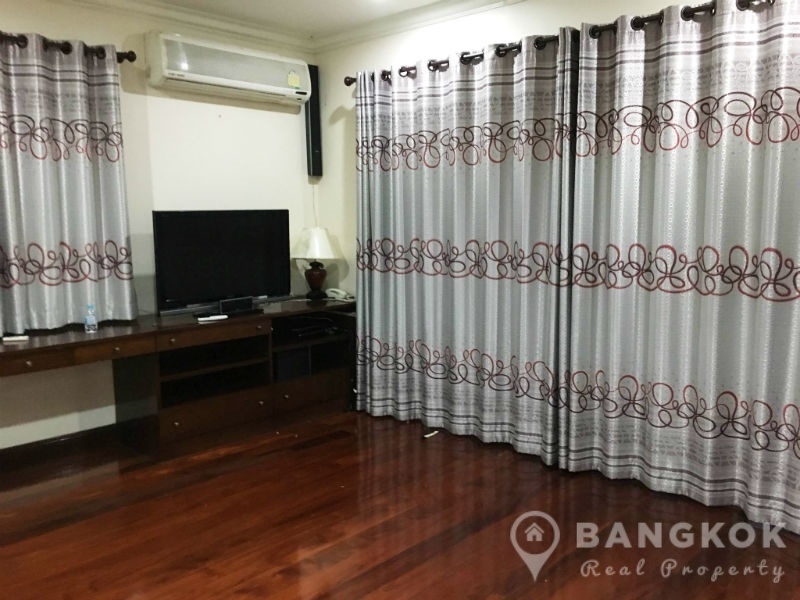 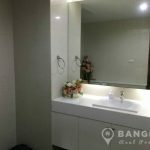 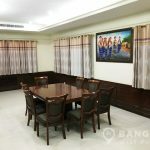 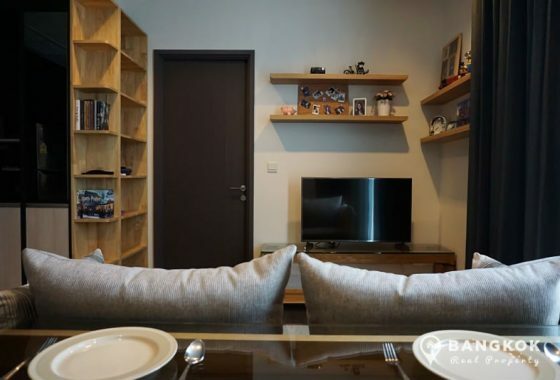 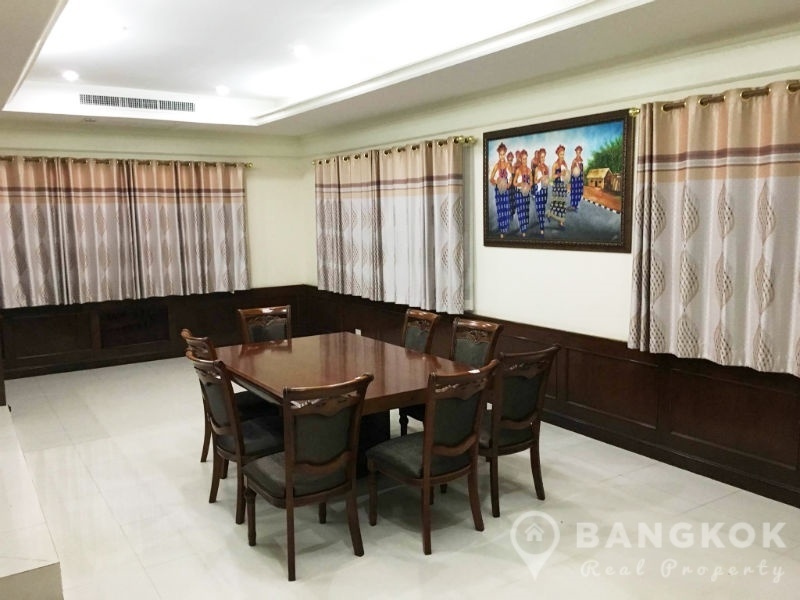 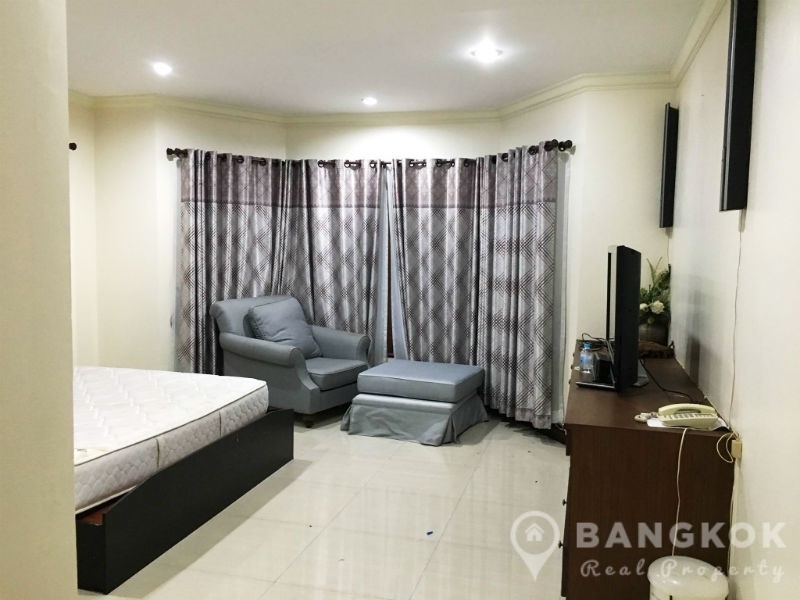 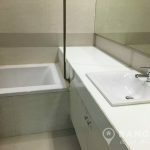 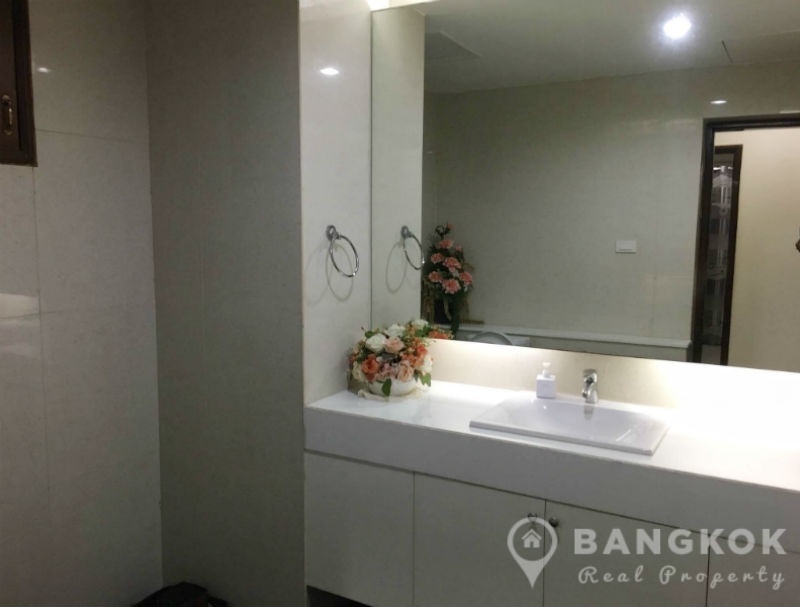 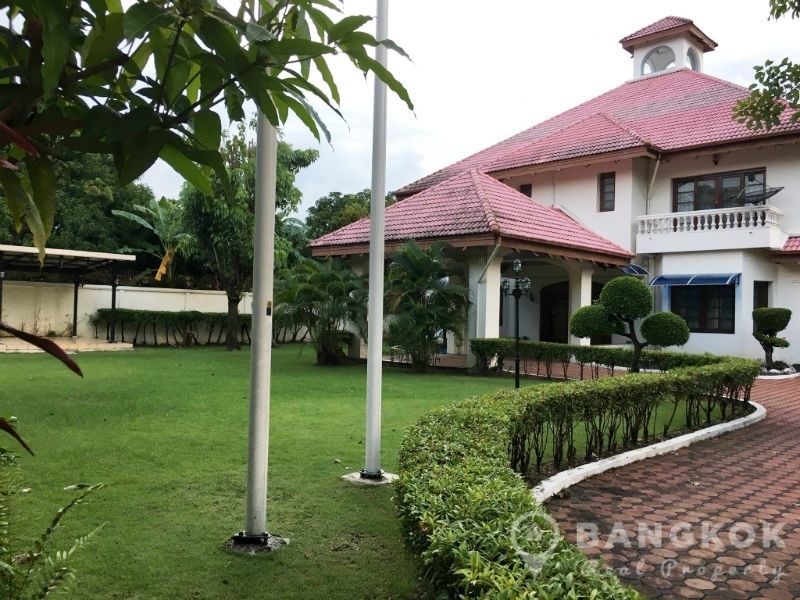 The house is situated with good expressway access and near many local amenities including Thanya Park, London Street Pattanakarn, Vibharam Hospital, Krungthep Kreetha Golf Course and Stamford International University. 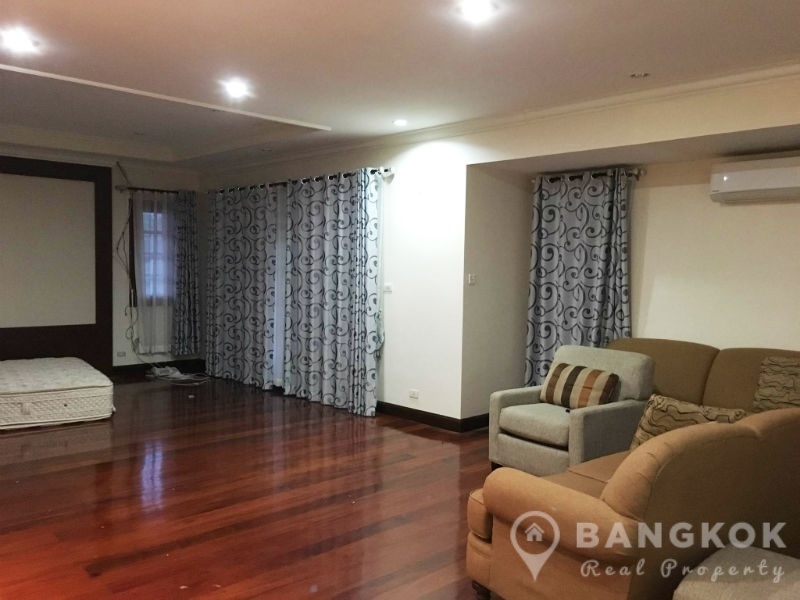 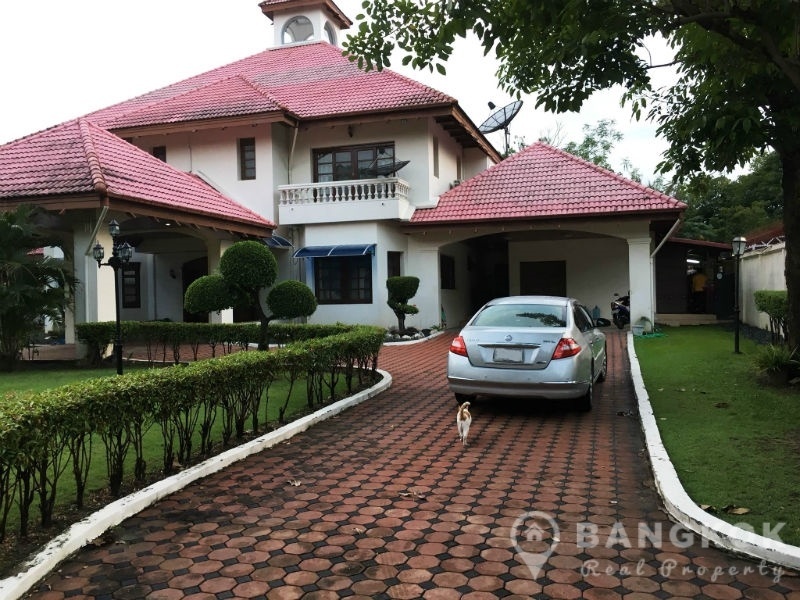 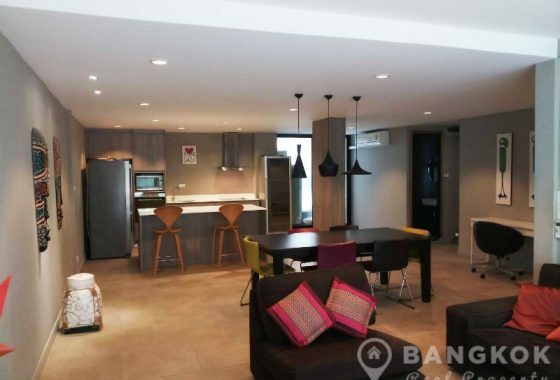 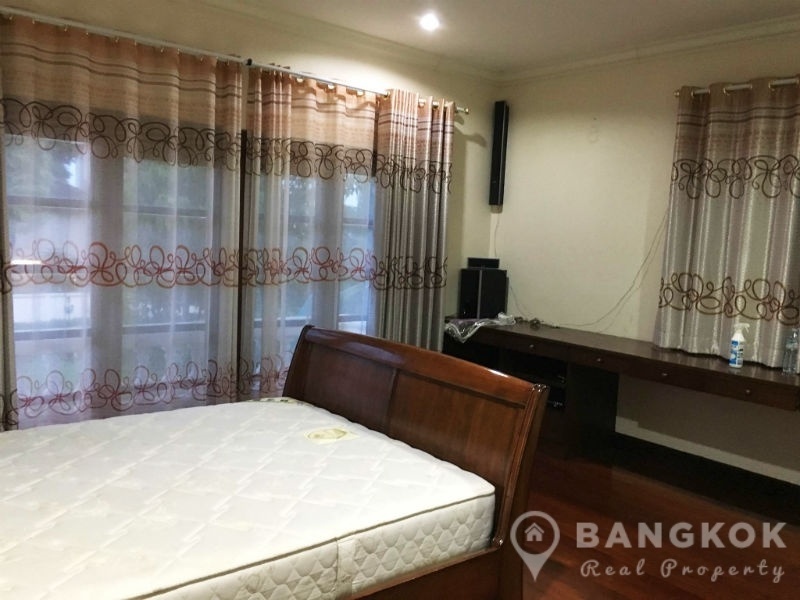 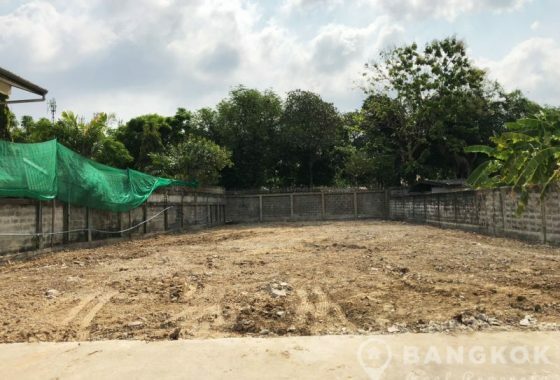 This spacious Phatthanakan House has 6 double bedrooms, 2 livingrooms, 5 bathrooms and 1,576 sq.m of living space on a large plot of 393 sq.wah. 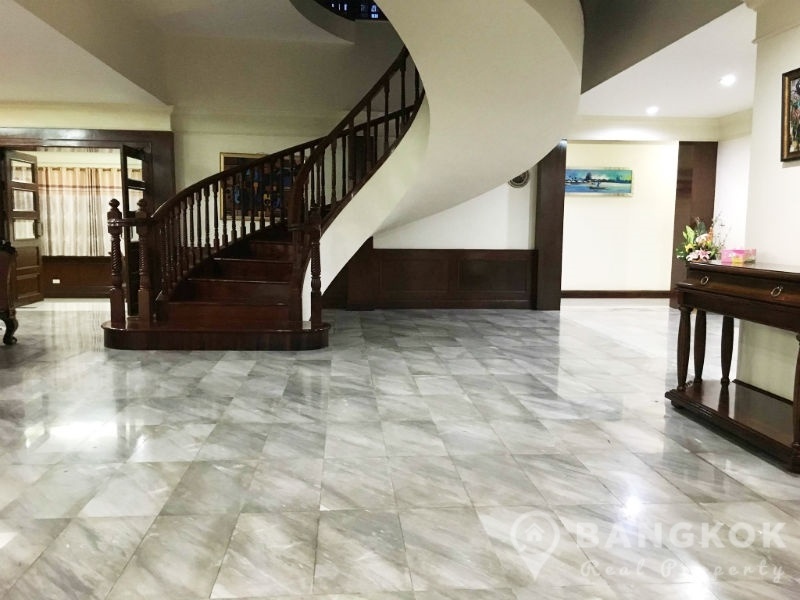 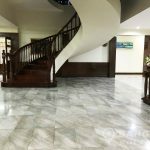 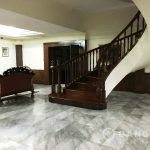 The house has a spacious entrance hall with marble floors and sweeping hardwood staircase to the 2nd floor. 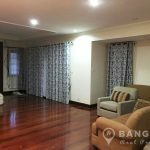 There is a spacious open plan livingroom and dining room with access to a covered garden patio terrace. 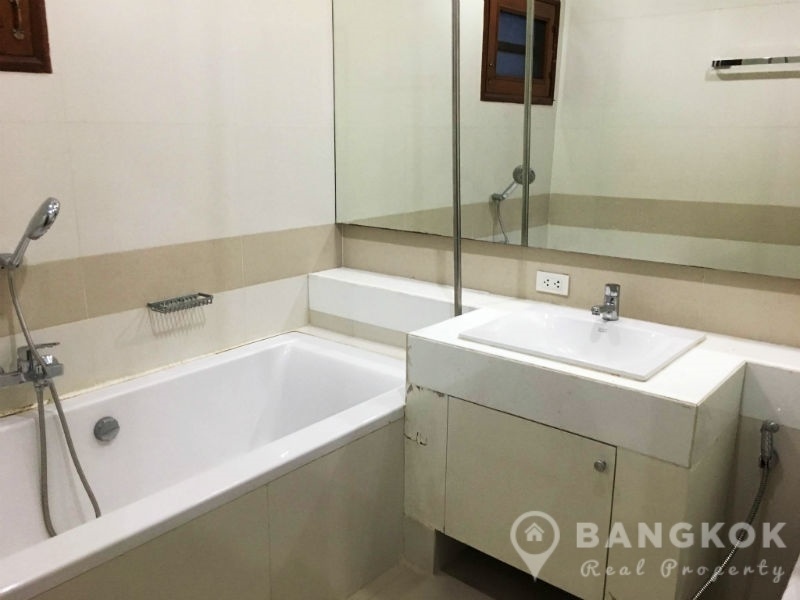 Off the living are is a guest bathroom. 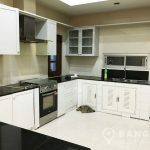 The house has a separate large European style kitchen with extensive fitted units, electric hob and gas stove. 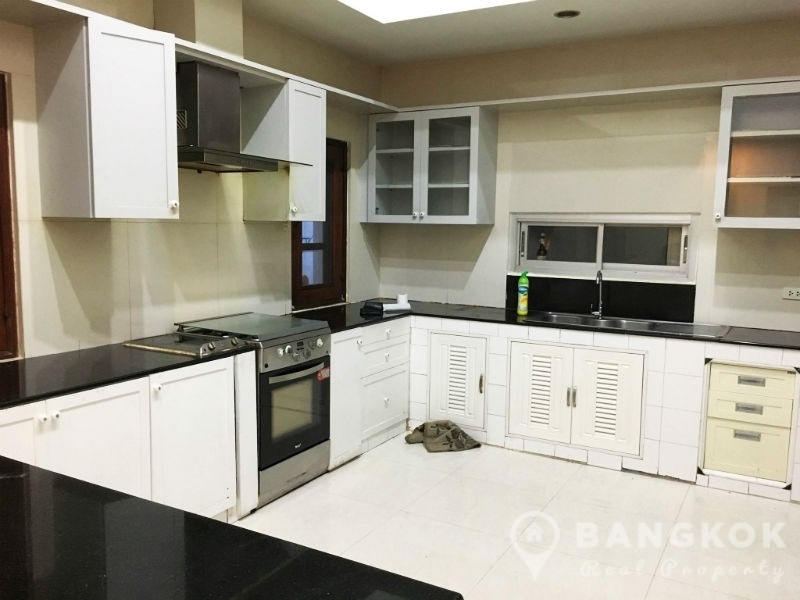 There is a separate Thai style kitchen and also 2 storage rooms and 2 maids rooms with bathroom. 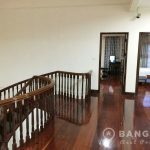 Upstairs there is a 2nd livingroom area, a huge master bedroom suite with extensive storage and ensuite bathroom with bathtub. 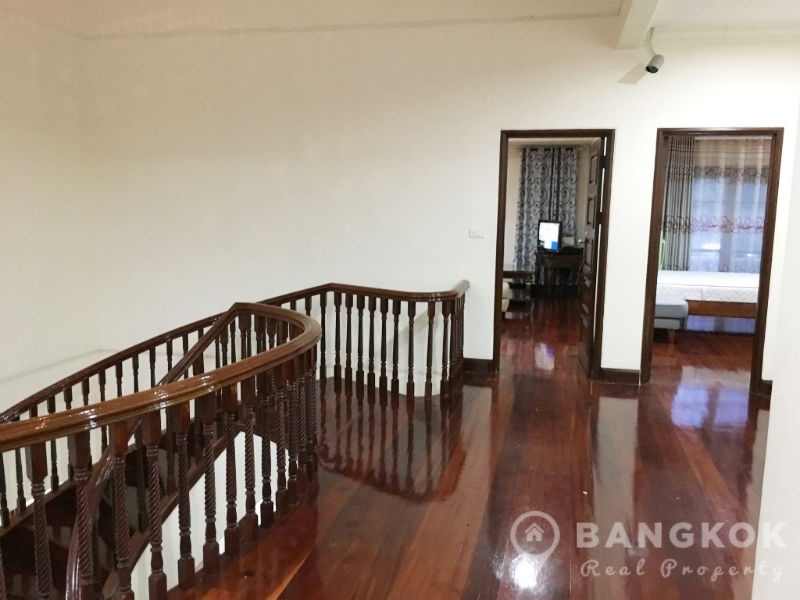 The other 5 bedrooms mostly ensuite and there is main family bathroom on this floor. 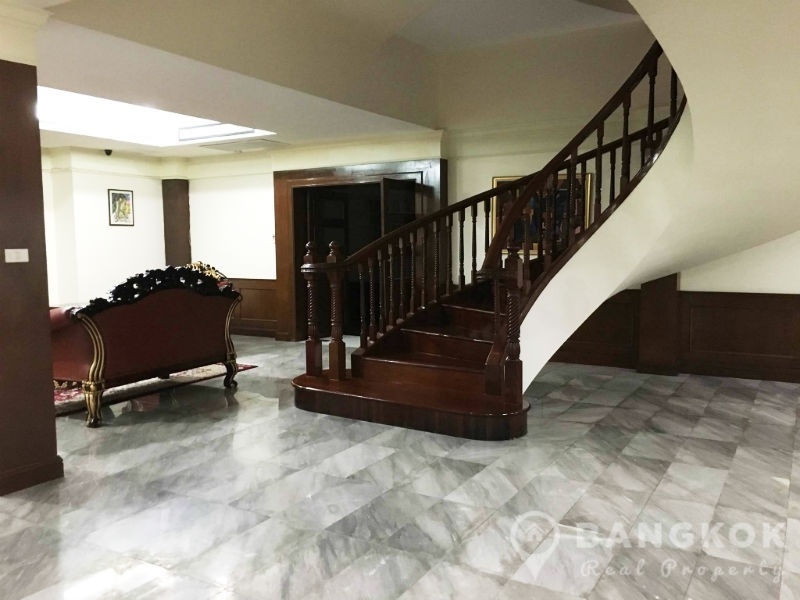 The house has marble floors on the 1st floor with hardwood floors upstairs (2nd floor). 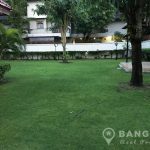 The house has a substantial private garden with mature lawns, shrubs and trees. 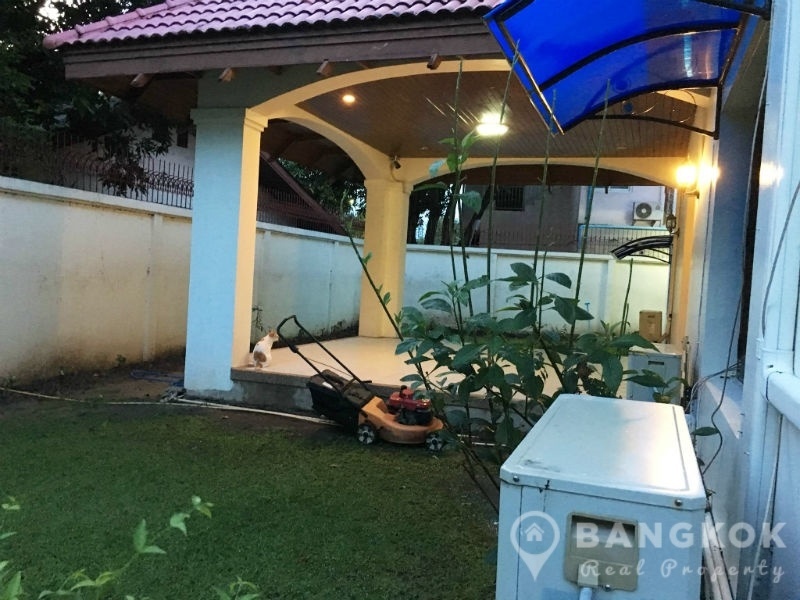 There is parking for 4 – 5 cars at the property. 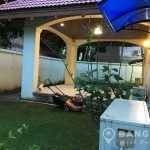 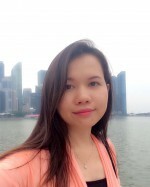 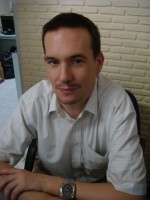 Land Department Taxes & Transfers by the seller.